With tree skeletons, hundreds of years old, lost in the middle of the desert, Deadvlei has been nominated as the 8th Wonder of the World. Deadvlei lies just outside Sossusvlei inside the Namib-Naukluft Park. Its name comes from the English word dead and the Afrikaans word vlei and means dead marsh. What once was a marsh, is now a dried white clay pan, surrounded by some of the highest sand dunes in the world that have literally rusted over thousands of years, giving them their fiery complexion. Thousands of years ago, the clay pan formed after heavy rainfalls which lead the Tsauchab River to flood, creating shallow pools of water. These little marshes were the perfect soil for Camel Thorn Trees to grow. Climate changes 200 years later lead to extreme drought as well as growing sand dunes which now surrounded the area and blocked of the Tsauchab River. The climate was so harsh that the trees dried out rather than dying and after almost 900 years of intense solar radiation, turned into “blackened bones”. Now Deadvlei has been nominated as the 8th Wonder of the World. A title it will only win if it gets enough votes. With its 1000 year history, red dunes, white clay marsh, black trees, and the blue sky Deadvlei is truly a unique place on the world, which would deserve to be named the 8th Wonder of the World. If you want to help Deadvlei just go to their official website and vote for it. Excited to see what could possibly become the 8th Wonder of the World with your own eyes? Visit our website and contact us. Also have a look at this 360 view of Deadvlei. Along with a lot of great places and natural wonders way too many places are in the competition being nowhere near any sort of wonder. I mean; yes attractions, shopping, dining and outdoor entertainments are nice, but that clearly doesn’t make Baltimore’s Inner Harbour a World Wonder. And I’m sorry Germany, but a pool floating in a river is nothing but stupid. How hard can it be to become the 2nd most photographed site in Missouri? Exactly, way too easy to consider the Columns at University of Missouri a Wonder of the World just for that. Knowing that whatever will be the winner, will be lining up with the other Wonders of the World which are. The Great Wall of China, the longest man made structure built in the 5th century B.C. Christ the Redeemer Statue in Rio de Janeiro. Machu Picchu in Peru a historical site built by the Inca. Chichen Itza which is an old Maya town in Mexico. The Roman Colosseum in Italy. The Taj Mahal, the most perfect specimen of Muslim art in India. And Petra a town in Jordan, that had technology and complex structures long before the time. All these places have century’s long history, are of international interest and contributed a lot to world’s history. Franklin Street: Sure this place should be concidered the 8th Wonder of the World? 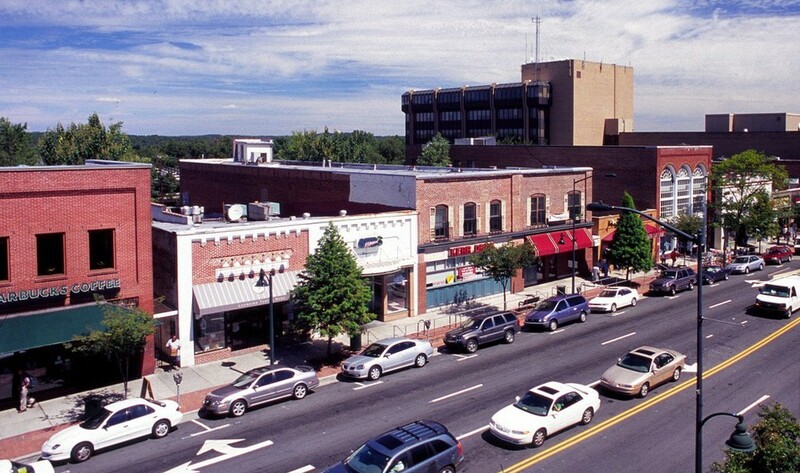 That really makes me wonder how somebody could submit Franklin Street, the main street in Chapel Hill, North Carolina, only know by the people of North Carolina for its festivities, celebrations, nightlife and culture. Or Stew Leonard’s, which is a normal family owned and operated fresh food store that supplies their customers with costumed characters and animated entertainment. I think being an Wonder of the World should be reserved for sites that have a history to tell, are breath taking, and should be remembered by the world.